Pride - What Can We Do About It? What Can We Do About Our Pride? This Bible Study seeks to answer the question - What Can We Do About Our Pride? This Bible study is suitable for individual study or weekly group reviews. It offers you a great opportunity for personal growth. Small Groups provide you an opportunity to share what you learned, but you can gain powerful insights from others. After all, The Holy Spirit works in all believers and you can learn a lot from other believers (and vice versa). Discussing and sharing your insights with others is a rewarding and fun way to study the Bible. This study also provides a great format to learn biblical truths we can apply in our daily lives. The idea is to share insights, explore what the Bible says together, and benefit from group discussion of biblical principles. This website doesn't have all the answers and nobody expects you to have them either. However, we can learn from each other and learn more about pride and what God says about it together. Our purpose is to learn from God's answer book - The Bible. Our rewards are eternal and our lessons can be applied our everyday lives. So What Can We Do About Our Pride? Ask yourself - What causes pride in my life? What can we do about pride in our lives if it's caused by our satisfaction or dissatisfaction with the things of this life? To counter pride in our lives - whatever the cause may be - we can do what God’s word commands us to do in Philippians Chapter 2. Let’s read the first eleven verses. 8 And being found in appearance as a man, he humbled himself and became obedient to death- even death on a cross! What does God tell us to do in this scripture passage in the following verses? Verse 2 -- then make my joy complete by being _______, having the same love, being ________. Verse 3 -- Do nothing ________or ________. But in ________ consider others better than yourselves. Verse 4 -- Each of you should look not only to your own interests, but also __________ _________. Verse 5 tells us that our attitude should be the same as that of Christ Jesus - Now check out Verse 6! Verse 7 -- but made himself __________, taking the very nature of a ________, being made in human likeness. Verse 8 -- And being found in appearance as a man, he __________ and became __________ to death- even death on a cross! What should our attitude be from the lessons of verses 6, verse 7, and verse 8? Verse 10: that at the name of Jesus every knee should bow, in heaven and on earth and under the earth, 11 and every tongue confess that Jesus Christ is Lord, to the glory of God the Father. Charles Haddon Spurgeon was England's best-known preacher for most of the second half of the nineteenth century. In 1854, just four years after his conversion, Spurgeon, then only 20, became pastor of London's famed New Park Street Church (formerly pastored by the famous Baptist theologian John Gill). 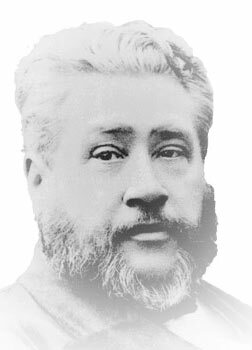 Spurgeon frequently preached to audiences numbering more than 10,000—all in the days before electronic amplification. In 1861 the congregation moved permanently to the newly constructed Metropolitan Tabernacle. “The particular evil at which our Lord aimed when he uttered the words of our text was the evil which is so common in the church, even down to the present day, that is, each man seeking to be somebody. We are all born great the first time, it is only when we are born the second time, born from above, that we come to be little. When we were born the first time, we were so great that we were really nothing; but when we are born a second time, we are so little that we are everything in Christ. At first, self seeks to gain the mastery; it has a head that must wear the crown, and feet that must be shod with silver slippers. Self will wear no sackcloth, it must be clad in silk at the very least. Self ever exalts itself above all its fellows; it even pines after the throne of God, for self has the ambition of Lucifer, and will never be satisfied, however high it mounts. Now, our Saviour wants, in his disciples, that selfhood should be crushed, that all desire to be great should be quenched, and that, instead of all of us wanting to be masters, we should see which of us can be servants. If we are as Christ was, we shall catch the spirit which made him say, "I am among you as he that serveth" Luke 22:27. To that point I bend all my strength just now; and, first, I want to speak a little upon OUR LORD'S POSITION AMONGST HIS OWN FOLLOWERS: "I am among you as he that serveth"
The twelve apostles came together to the last supper. There was usually a servant or slave in the room to wash the feet of the guests, but there does not appear to have been such a person on that occasion. Peter did not offer, even John did not think of it, Thomas was probably considering who ought to do it, and Philip, the arithmetician of the apostles, was calculating how much water it might take; but nobody offered to do it. Everybody's business, you know, is nobody's business; so nobody offered to wash anybody's feet. They had already taken their positions, reclining about the table; then, without any suggestion from anybody else, the Master himself rose from their midst, laid aside his garments, took a towel and girded himself with it, and then poured water into a basin, and went from one to another, and washed their feet. After he had done that, and was again reclining with them, he said to them in effect, "I am among you as the slave, the domestic who does the most menial work; you see that I am." They could not contradict it, for he had actually and literally taken that position among them. But, dear friends, this act of our Lord's was no novelty; what he did literally that evening, he had been doing ever since they had formed a community. He was always the servant of them all. He was constantly looking out for their interests, and laying himself out to do them good. They did not come to him to bring him anything, they came to receive from him. They did not come to teach him, or even to comfort him with their company. They all came for what they could get from him,-to learn the truth from his lips, some of them hoping to be led by him to a kingdom which they did but dimly understand; but they were all, as it were, sitting at a table all the time they were with him, being fed with heavenly and spiritual food; and he was all the while their servant, washing their feet, bearing with their ill manners, sweetly correcting their mistakes, and ever patient notwithstanding their slowness of learning. Our challenge today, just as it was at the Lord Supper, just as it was in England at the Metropolitan Tabernacle in England in 1885, is to have the mind of Christ – to be a servant. Pride offers us the same challenge it's offered all of mankind since the beginning of time. Man hasn’t changed his sin nature which breeds pride – he can only suppress it to the degree he'll be obedient to God. Jesus Christ was without sin and therefore the most humble man that ever lived – he obeyed God, he was exalted for it and we can be rewarded for our obedience because of his great example. that it makes humility the avenue to glory. So What Can We Do to Humble Ourselves? “Do not be ashamed to serve others for the love of Jesus Christ and to seem poor in this world. Do not be self-sufficient but place your trust in God. Do what lies in your power and God will aid your good will. Put no trust in your own learning nor in the cunning of any man, but rather in the grace of God Who helps the humble and humbles the proud. What Advice Did Jesus Offer Us On Pride? Finally, as I am sure you would agree, Jesus Christ is our best teacher for the topic of pride. Look what he said as recorded in the Gospel of Matthew when he was teaching in the towns of Galilee. First, he told the people listening to him to take his yoke, meaning to work with him in partnership to accomplish a common goal. Secondly, he told the listeners to learn from him. (please note that pride often hinders our learning or "teachability"). And what was the first thing the greatest teacher that ever has and ever will live said? He said I am gentle and humble in heart. So if we are to find rest in our souls and learn to be like Christ we must be humble in heart. If we humble ourselves God will exalt us and we will find honor just as our teacher Jesus Christ was before us. Why value pride when it leads to destruction? Choose humility instead and God Almighty will exalt you! Bible Study Lessons › Pride › What Can We Do About It?